Professional Mixing FeaturesThe Alto Professional Live 1604 is a pro 16-channel, 4-bus mixer equippe.. 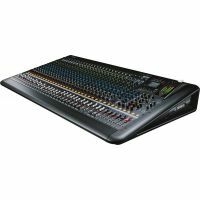 Hybrid ML1202 DUSBXMic Channel Controls:•8 Mono Mic/Line Channels (XLR, ¼” Jack – Balanced)• Mi..
v +48V Phantom Power v Insert function with external phantom power, 6/8/10 monos 1 stere..
amaha MGP32X - Analogue Mixer - 24 Mic ChannelsThe Yamaha MGP32X is a 32-channel analogue .. The Perfect Piano to exceed all Expectations Adding the joy of a piano to your home? 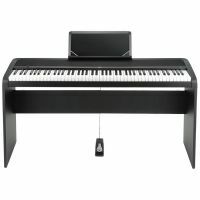 Searchi..
Price-defying performance!The Roland E-09 arranger keyboard's sounds and styles are nothing but firs.. 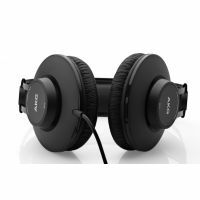 The AKG K52 over-ear, closed-back headphones provide the perfect combination of sound quality, comfo.. Introducing the HDJ-1500, a professional DJ headphone that promise to deliver excellent sound reprod..
Three enhanced new headphones deliver outstanding acoustic performance with models suitable for user..
Unlock the rhythm in you with essential gear.Second-rate gear only makes your drumming journey harde.. 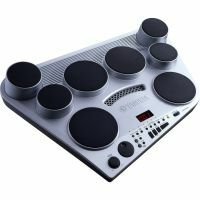 Your dream starts here.The Tama Imperialstar 5-piece Standard Drum Set is the most affordable Tama d.. This Powered Speaker is a Solid PerformerExperience serious sound and simple setup with the Electro-..
Bass reflex, 2-way bi-amp self powered full range speaker with DSP .. 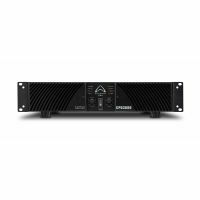 The Truesonic TS215 strikes an ideal balance between no-compromise acoustic performance, the complet..
Next-generation PA SpeakerWhether you use it for front of house or as a monitor, the JBL EON615 2-wa..
M-Audio just released two new studio reference monitors, the BX5-D3 and BX8-D3, which are ..
KRK's ROKIT 8 G3 (Generation 3) powered studio monitors offer professional performance and accuracy ..
Adam A7X Active Studio Monitors, Pair with Stands DetailsThe Adam A7X Studio Monitors, Pair fea..
BEHRINGER K6 Audiophile Bi-Amped 6" Studio Monitor with Advanced Waveguide TechnologyProduct informa..
Yamaha HS5 Overview1234The HS5 Powered Studio Monitor from Yamaha is a bi-amplif..
8" Two-Way Powered Studio MonitorBi-amplified Studio Monitor with Magnetically-Shielded 8” Low Frequ..
5.25-inch (E5) / 8-inch (E8) Kevlar low-frequency transducer 1-inch (25 mm), ultra-low-mass, silk-do..
Why You Need a MonitorA studio monitor is no ordinary loudspeaker. 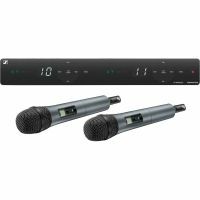 Unlike a conventional speaker, a ..
A Streamlined, Easy-to-use Wireless System from SennheiserThe Sennheiser XSW 1-825 Dual bundles grea..
OVERVIEWLightweight, low-profile handheld wireless microphone system.The AKG WMS 40 Minisystem inclu.. Product DescriptionIt is an advanced high quality wireless microphone system.UHF frequency transmiss..
UHF Wireless Microphone* Power supply: DC11V-16V (Rated 12V)* UHF * Chanel: 100 ..
8Ω Stereo Power ,RMS/CH1200W4Ω Stereo Power ,RMS/CH1800W2Ω Stereo Power, RMS/CH2500W8Ω Bridged Mono ..
CPD3600The CPD3600 is part of Wharfedale Pro’s latest line of professional power amplifiers driving .. 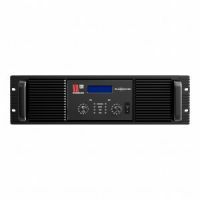 Powerful, road-tough unit for medium and larger gigs.The rackmount EP4000 EUROPOWER power amp from B.. Hybrid B2200MK5 8Ohm Stereo Power, RMS/CH 700W 4Ohm Stereo Power, R..
CODE100Set the stage alight with 100 prese.. The MAX® 115 bass combo amp delivers more bass in a space saving package. With 300 Watts of power th..
OVERVIEWTechnologically advanced and affordable guitar modeling amplifier.With double the processing..